The 2018 ICCAT (International Commission for the Conservation of Atlantic Tunas) Annual Meeting netted mixed bag of progress including new management plans, current measure, rollovers, and stalled proposals. Overall 12 new Recommendations and two Resolutions were adopted covering relevant issues on Atlantic tuna and tuna-like species conservation and fisheries management. The Commission agreed on a reviewed multi-annual management plan for bluefin tuna in the eastern Atlantic and Mediterranean. In addition, the Commission agreed to roll over current measures for tropical tunas and to work in advance of the 2019 Commission meeting to develop a new plan acceptable to all. New recommendations on reporting formats for the implementation of billfish and shark measures, as well as several refinements to Monitoring, Control and Surveillance measures such as the development of the IUU vessel list, port State measures and vessel monitoring system (VMS) were also approved. The Commission convened to evaluate the results of the 2018 working plan together with the current status of application of the regulatory measures in force and to establish the conservation and management measures for the future. The Commission agreed to move forward to adopt the package of comprehensive amendments to modernize the ICCAT Convention, which had been developed over the past five years within the Working Group on Convention Amendment. Contracting Parties will work over the coming year to ensure that these amendments, and related measures, will be formally adopted at the 2019 Commission meeting. 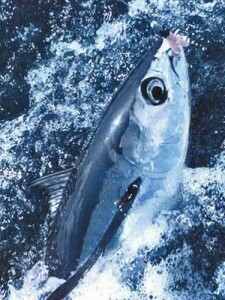 During 2018, two species were subject to a full scientific stock assessment: bigeye tuna (Thunnus obesus) and blue marlin (Makaira nigricans). The Commission could not reach a consensus and the annual catch limits for bigeye tuna will continue to apply through 2019. In addition the Commission agreed to roll over current measures for tropical tunas and blue and white marlin stocks, and to work in advance of the 2019 Commission meeting to develop new plans acceptable to all. Following the annual meeting, the U.S. released a statement from John Henderschedt, Director of NOAA Fisheries’ Office of International Affairs and Seafood Inspection, regarding several key issues. The International Commission for the Conservation of Atlantic Tunas (ICCAT) is an inter-governmental fisheries organization responsible for the conservation of tunas and other highly migratory species in the Atlantic Ocean.